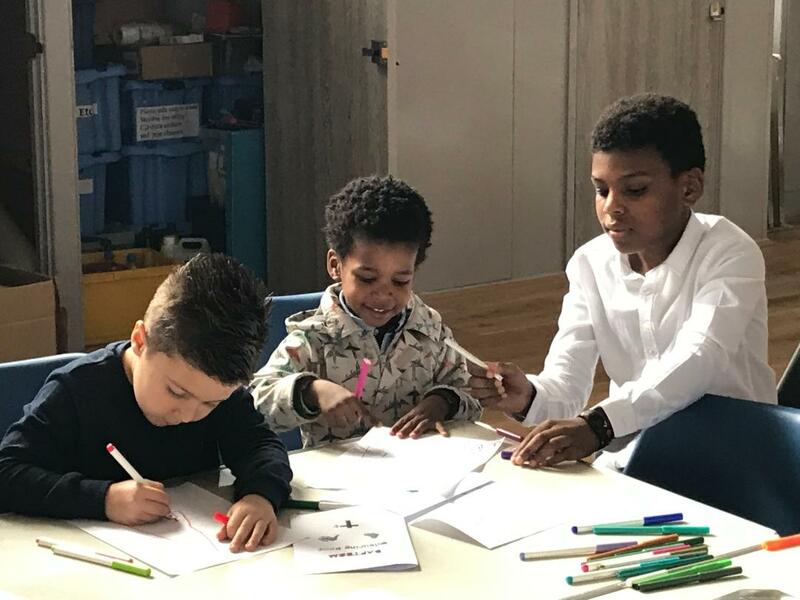 At Hatfield Road every Sunday morning the children and young people are encouraged to join one of our Sunday Club groups. After the first part of the Service they leave the main church with their leaders to meet in groups with other children their own age. They meet every Sunday during the 10.30am Service, except on the first Sunday of the month when everyone joins together for All Age Worship. 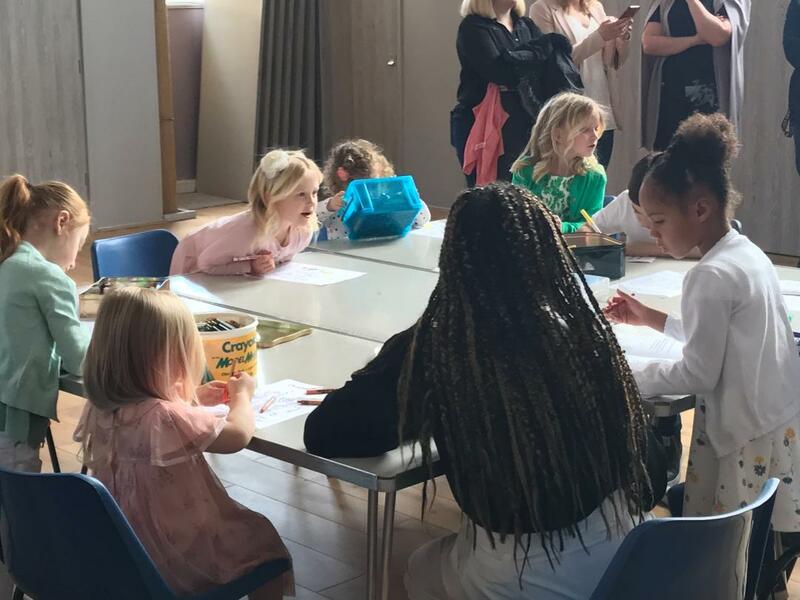 On the third Sunday the children and young people start together in their groups and then join the service for Communion. Parents of babies and very young children are welcome to use the story bags in the church or, if they wish, the next door room which is set up with toys. 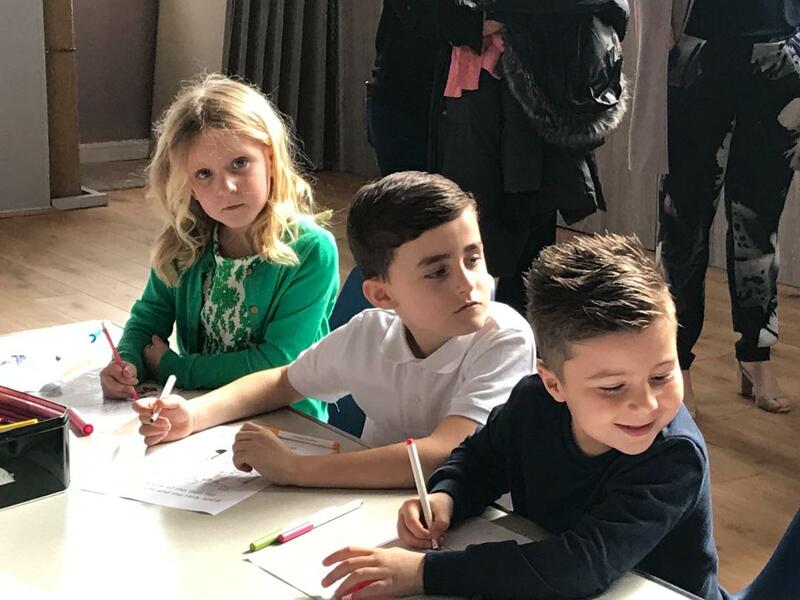 Children under 4 years are also welcome to join the younger Sunday Club group with their parents. All groups learn more about God’s love through storytelling, drama, games, singing, drawing and craft activities. All leaders and helpers have had a DBS check and have attended a Safeguarding training session. All groups sometimes serve snacks as part of the session. Please inform your child’s group leader if he/she has any food allergies or intolerances. 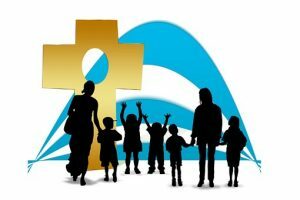 In addition, we provide opportunities for families and the children to meet in fellowship. Every month our social group organises a family event (see our Social page for details of future events). 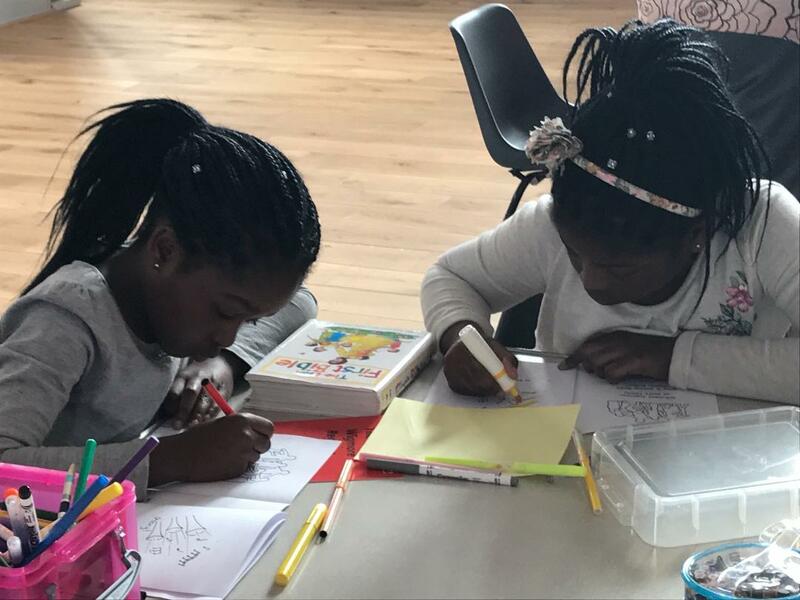 We also run a Saturday Social for young people aged between 11 and 18. This takes place on the third or fourth Saturday of the month, 5-7.30pm and includes film nights, games nights and social outings. 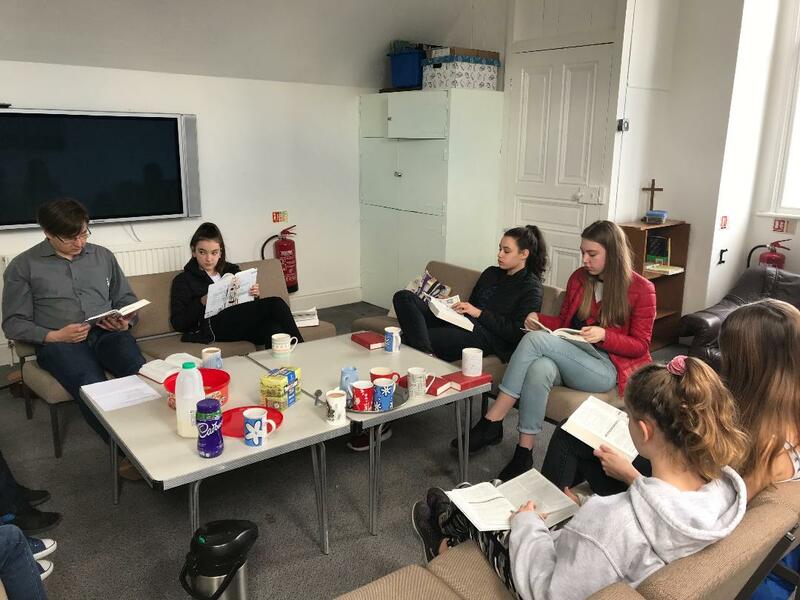 Our Sunday evening Youth Fellowship, organised by Rev Andrew Prout and Rev Rosemary Fletcher, also meets once a month on a Sunday evening at 7pm and involves a mixture of discussion, food and games. 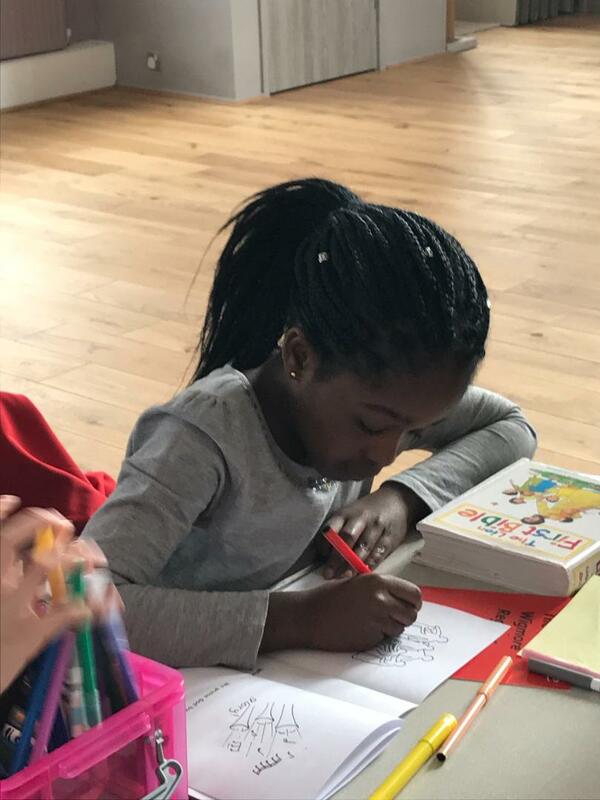 For more information on any of our Sunday Club activities, please contact our Sunday Club coordinator Lianne Weidmann (sundayclubcoordinator@hatfieldroadmethodist.org).